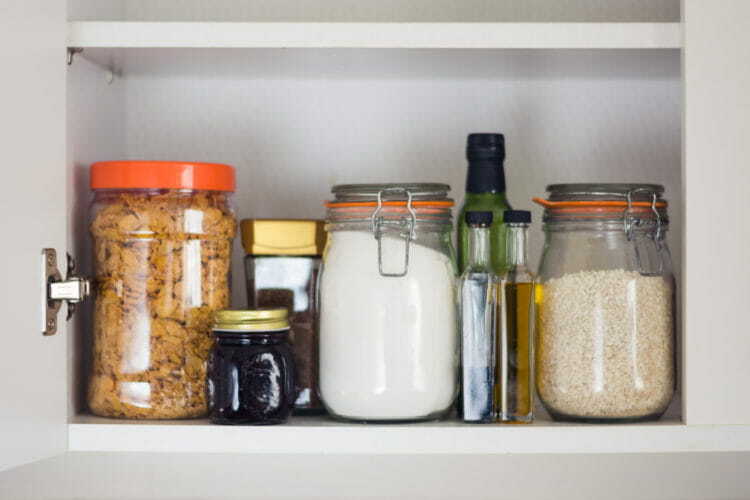 Here’s How to Organize your Pantry and Keep it that Way! How is your pantry? Is it well-organized, or do you have trouble finding what you need? Whether you’re an experienced chef or frozen pizza fanatic, every family needs an organized pantry. Here’s how to organize your pantry to perfection, and keep it that way. Find a system that works for you. You can find organizational tools in any big box store, but they’re only going to help you if they work with your space and sensibility. Keep up with your inventory. Assess your pantry regularly, perhaps on a weekly basis, to determine what you need to restock and what needs to be tossed. Make it easy to see and access what you have. Clear bins with labels can help, and so can lazy Susans. Grouping like items is a good idea, and storing cans on mini-risers makes them easy to see. Use your space wisely. Use all available space, including the inside of the doors and your vertical space. Creating a custom pantry is a great way to do this, with help from the experts. In the Bay Area, Bay Home & Window is your go-to source for highly functional and elegant built-ins, whether you’re in need of a functional walk-in closet or a pantry that’s easy to organize. Our expert designers will work with you, taking stock of your space and your lifestyle in order to create the perfect configuration to meet your needs. We can create the perfect system, customized to meet your needs, with an emphasis on function, organization, and elegance. Call (925) 264-6746 or contact us for a free in-home design consultation.